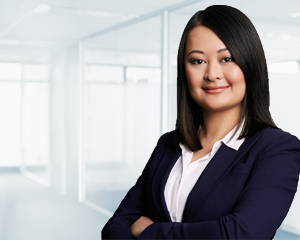 Helping clients understand the benefits and risks of their investments and being comfortable with those investments is an important part of Amy Lu’s role as wealth adviser. A member of the Canberra Family Wealth Management team, Amy acts as a link between the Investment Committee and clients, tailoring committee recommendations to suit their circumstances, goals and risk profile. According to Amy, it’s important to have a well-diversified portfolio, rather than focus on one asset class such as Australian shares. “People come to us because they want professional help with their investments,” she said. “When providing the Investment Committee’s recommendations to clients, I help them understand the benefits and risks of the different investments and asset classes and the importance of diversification. Amy joined Dixon Advisory in 2012 because of the firm’s reputation as the best self managed super fund provider in Canberra. Amy has a Bachelor of Finance, majoring in Corporate Finance and Investment Management, and a Bachelor of Science, with a double Psychology major, from Australian National University. She spent six months of the degree on exchange at The University of Manchester, studying Behavioural Finance. Amy is accredited by the Stockbrokers Association of Australia to provide investment advice.